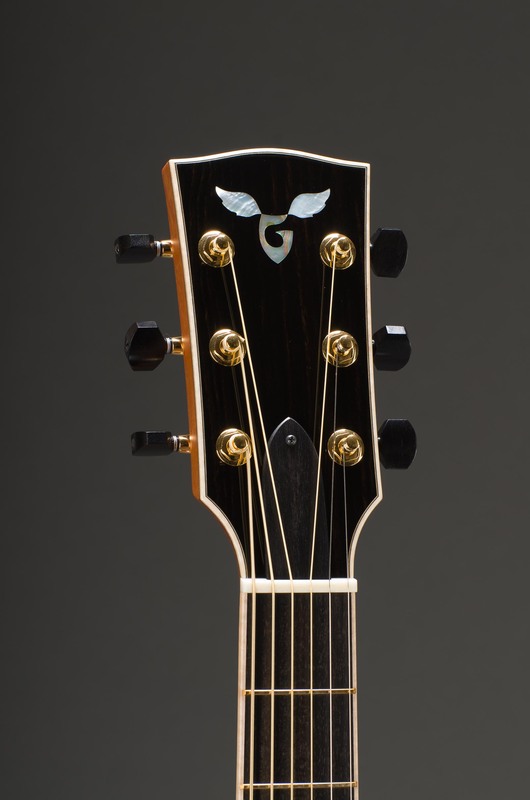 "The Grand Concert model is one of the world's most perfect guitars"
The Grand Concert model is a refined and beautifully proportioned shape, and is everything you could desire from an acoustic guitar and more. It's tone is a wonderful blend of balanced clarity, and punchy projection, with a smooth rich bass response. This instrument is larger than the Parlor but smaller than the Concert Jumbo. It has a singing lyrical treble, with excellent sustain, and is comfortable to hold. 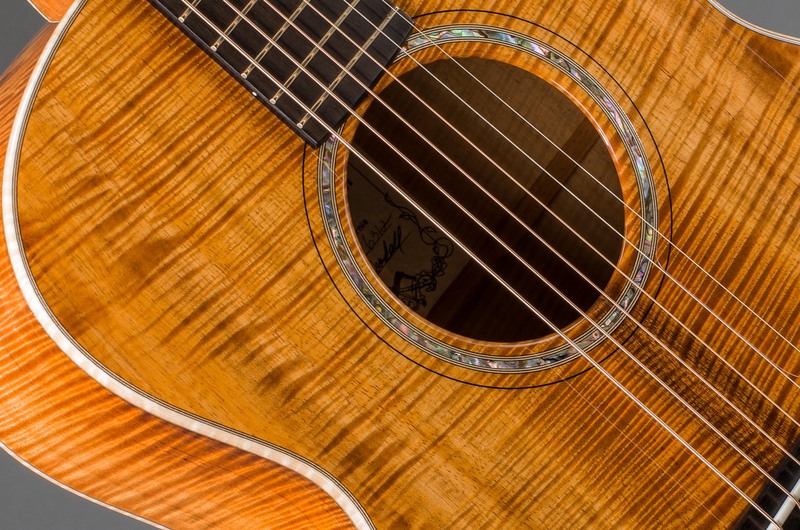 Though it is a small guitar, the Grand Concert does not exhibit the tight nasal tonal quality in the midrange and bass that is generally associated with smaller guitars. 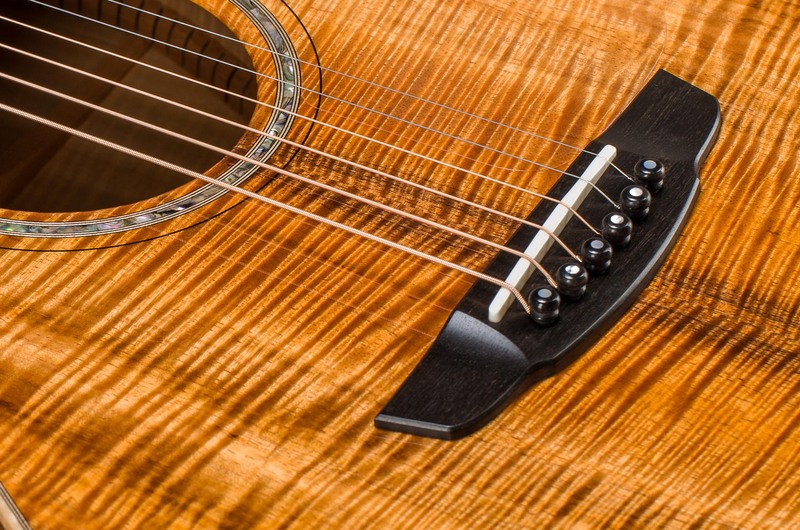 "ideal for the fingerstylist and the flatpicker, with the appropriate tonewoods"
Similar to the 14 fret 25.5" scale setup, but with a slightly shorter scale length for ease of fretting with smaller hands. Upgrade Back & Side, and/or Top Woods - Various species and grades with price points correspondent to their rarity. Choose Different Binding Woods - Five species, some with extra curly options. Matching Fretboard Binding is also available, and is standard on some series styles. 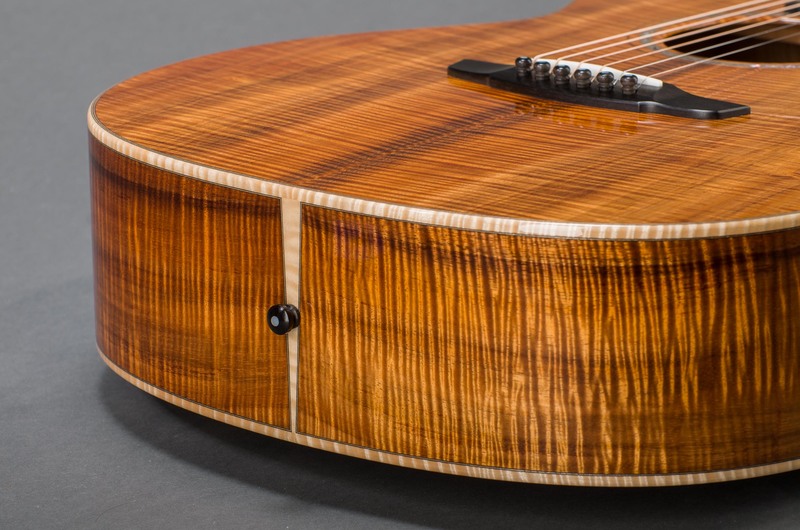 Change Or Add Inlay - Five shell peghead border inlays, six attractive fretboard inlay options, seven unique rosette shell choices, four bridge inlay appointments, five shell top border inlays, five shell backstrip inlays, and five shell end-graft inlay choices. Add A Cutaway - Curvy venetian or sharp florentine style. Customize Neck - Wider or narrower than the initial setup, or customize shape and finish. Upgrade Setup Details - Open gear tuning machines, responsibly sourced fossilized walrus ivory from Alaskan excavations, and matched peghead veneers. Install A Pickup - Electronics to get you amplified without sacrificing tone.